As part of the 2017 hennemusic Rock News Awards, the site is counting down the Top 10 Rock News stories of the past year. 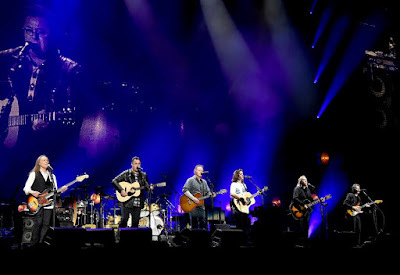 The Eagles performed their first concert following the 2016 passing of co-founder Glenn Frey with a headline set on the opening night of The Classic West Festival at Dodger Stadium in Los Angeles on July 15. 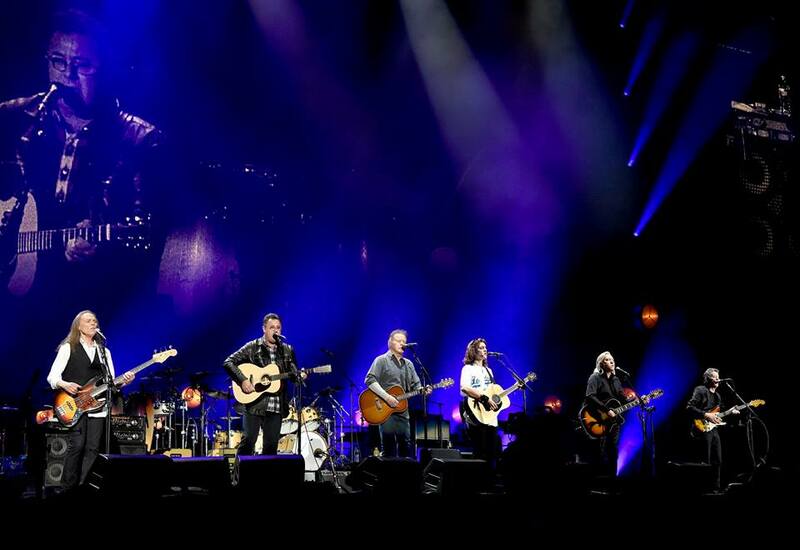 Frey’s son, Deacon, and country singer Vince Gill joined the group’s lineup as they delivered a 23-song set of classics while paying tribute to their late bandmate. “Anyone out there miss my dad?” Frey asked during the song, as the crowd responded with a resounding and heartfelt yes. Check out the No. 1 hennemusic story of 2017 on THE EAGLES here.